With registration still open for the 58th SEB Annual Conference and the II Encontro Hispano Português de Etnobiologia entitled “Living in a global world: ethnobotany, local knowledge, and sustainability” (June 4-9, 2017), we would like to issue a call for nominations for the Charles B. Heiser Jr. Mentor Award. 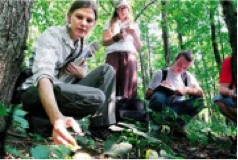 The Student Committee initiated the Award in 2007 to recognize outstanding economic botanists who have substantially impacted the training and professional development of economic botany and ethnobotany students. The Mentor Award is named in honor of Charles B. Heiser, Jr., Distinguished Professor Emeritus of Indiana University and spotlights dedicated educators who foster the development of the field by example and through student mentoring. A student-nominated award, it acknowledges mentors who are experienced, knowledgeable, trustworthy friends, counselors, and teachers. Current SEB student members and recent graduates (up to 3 years) are invited to nominate a mentor who has influenced their development in the field of ethnobotany. Students who wish to nominate a mentor should submit a letter explaining why they believe their nominee should be selected for the award to Sandra (sandrabogdanova@yahoo.com) and Alexander (environeill@gmail.com). Please submit your nomination letters by no later than May 28th, 2017. 2014 Recipient of the Charles B. Heiser Mentor Award. Mission: To foster and encourage scientific research, education, and related activities on the past, present, and future uses of plants, and the relationship between plants and people, and to make the results of such research available to the scientific community and the general public through meetings and publications.